As the 2017 NFL Draft rolled onto Day 3, it was obvious that two of the draft’s deepest positions — running back and tight end — still had talent on the board. Having said that, those weren’t the only two positions with value players left on the board. Today, we’ll take a look at the best fits for rookie wide receivers and tight ends drafted on Day 3 (Rounds 4-7) and predict when they might make an impact. Some of these players will be best sought out in dynasty leagues while others have an excellent chance of making a year one impact in redraft leagues. Last week, we broke down the Day 3 fantasy impact running backs. While the wide receivers and tight ends have fantasy value, specifically in dynasty leagues, the Day 3 running back class is loaded with potential fantasy difference-makers. Let’s get rolling on this year’s class. The wide receivers and tight ends are ranked in order of how I will be targeting them in both redraft and dynasty leagues. For pure rankings on these seven from an independent redraft or dynasty perspective, shout me out on Twitter @DanSchneierNFL and we’ll go from there. 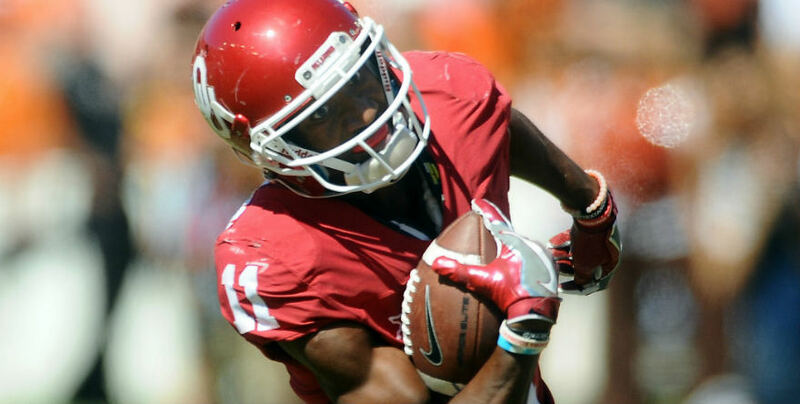 Westbrook joins a crowded wide receiver corps on paper, but his path to playing time is not as complicated as it may seem. Marqise Lee had a breakout 2016, but he also battled through multiple soft tissue injuries that rendered him ineffective for most of his first two seasons. The Jaguars paid Allen Hurns, but he had extremely disappointing 2016 season. Westbrook also offers the Jaguars receiver corps a trump card that not even Allen Robinson can claim. That unique trait is Westbrook’s pure speed. The 6-foot, 178-pound prospect didn’t run at the combine but reportedly clocked a 4.34 40-yard dash at his pro day. Westbrooks looked every bit as fast to our college analysts who ranked him No. 4 at his position and the No. 43 overall prospect on their big board. In 2016, Westbrook led all wide receivers with at least 100 targets in yards per route run, finishing with 4.08 YPRR. He forced 20 missed tackles in 2016 and dropped just 4-of-84 catchable passes. Our analysts listed Westbrook’s raw speed, after the catch ability, explosion out of breaks, strong hands, and body control as strengths in his game. They also see Marvin Harrison is his closest player comparison. Advice: A case can be made that Westbrook is already the second-best option in the passing game. If not for his off-field history, Westbrook would’ve been drafted earlier. Westbrook could immediately emerge as a redraft WR3/4 and should be drafted higher in dynasty leagues.